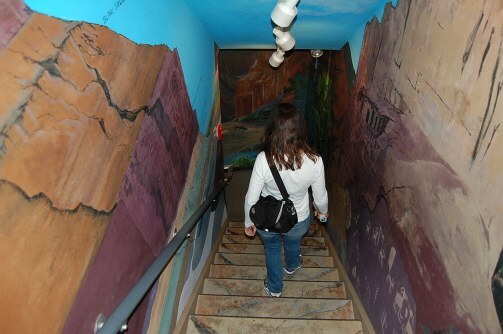 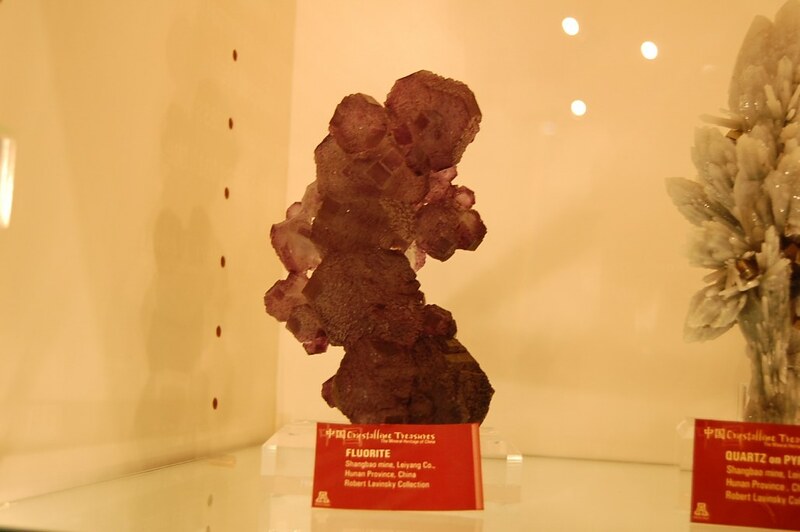 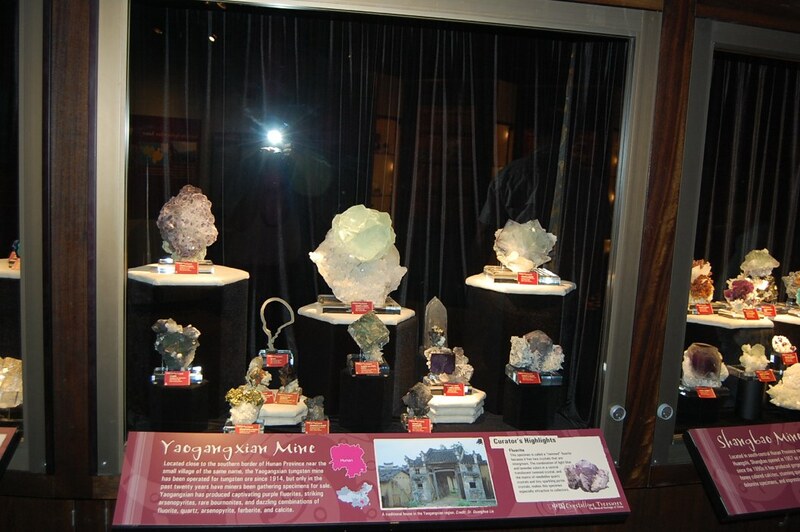 The Mineral hall at the University of Arizona is housed in the lower portion of the Flandrau Planitarium. 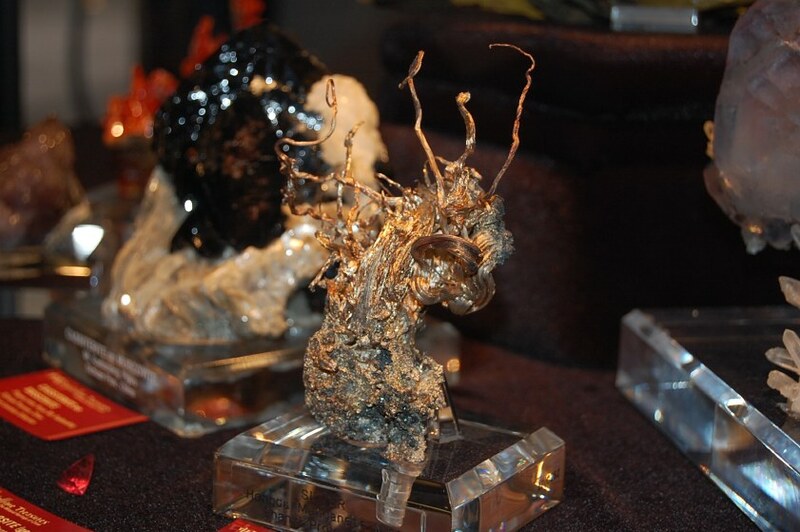 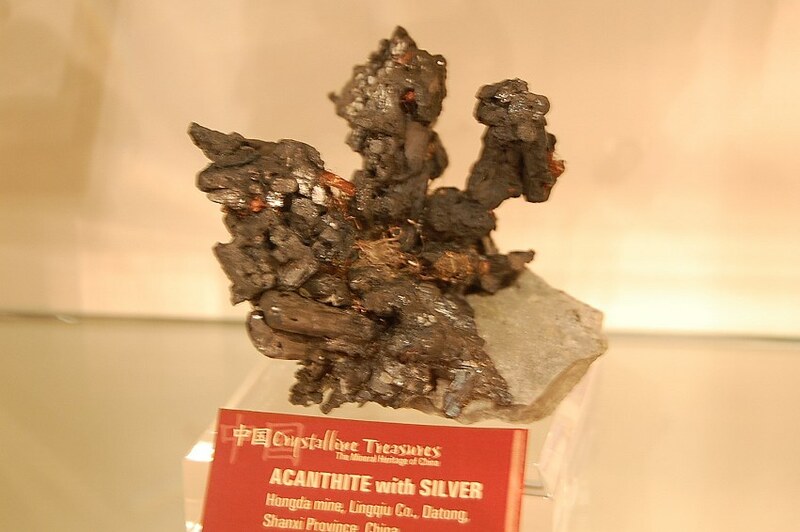 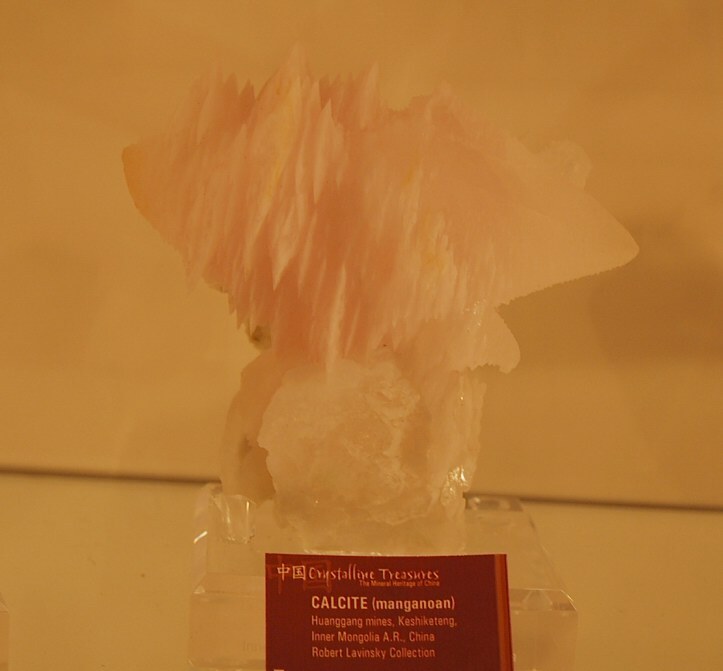 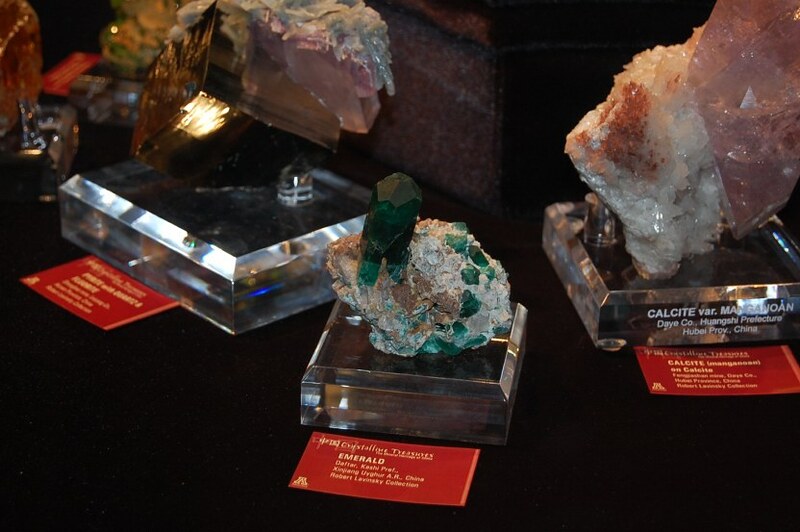 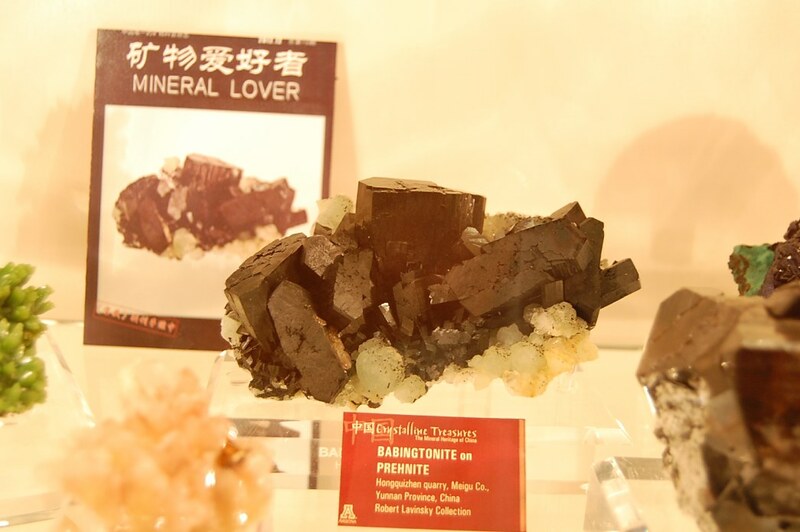 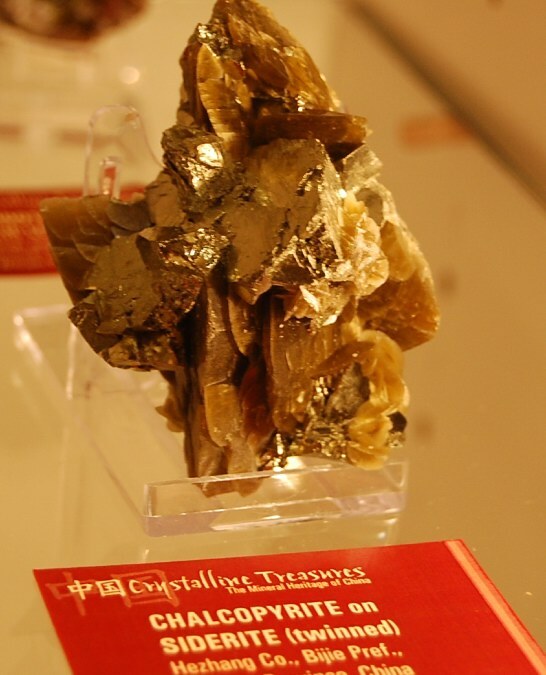 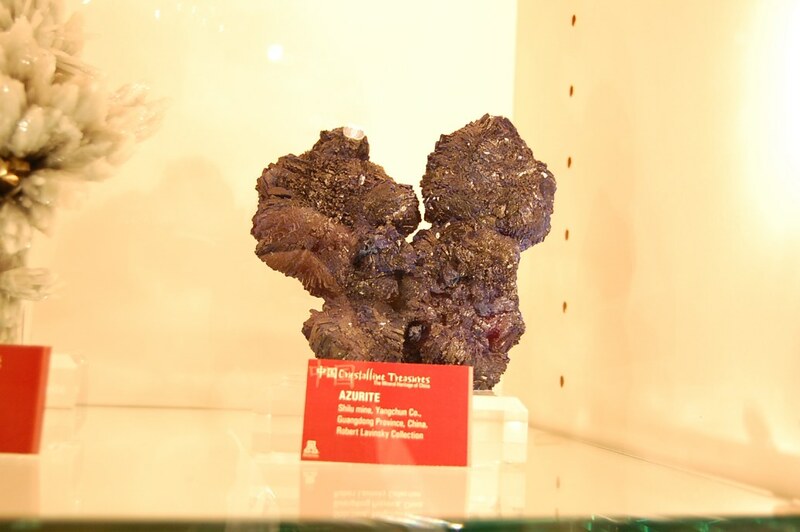 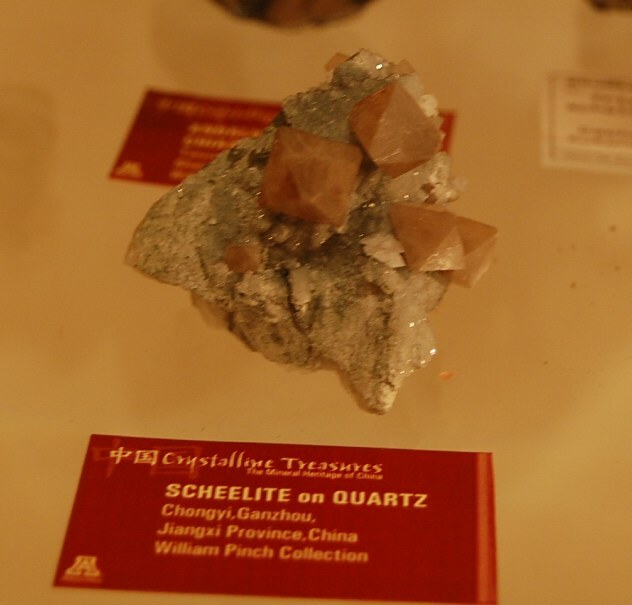 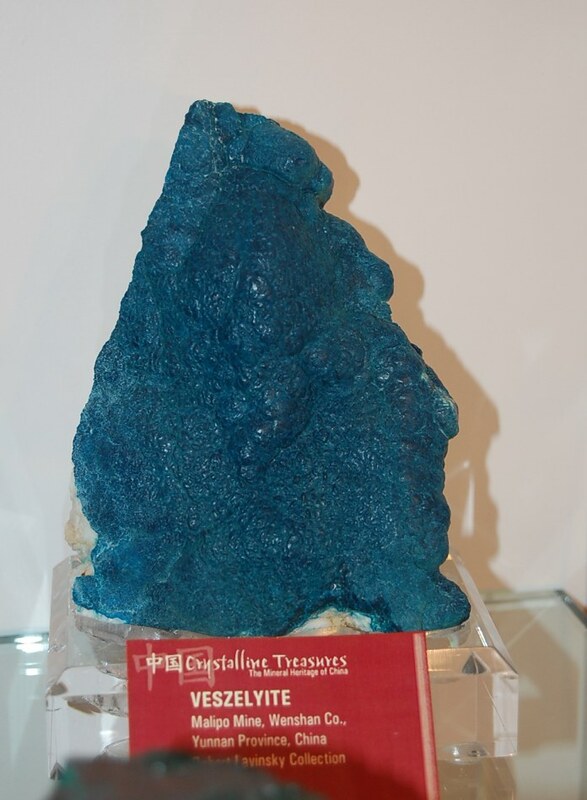 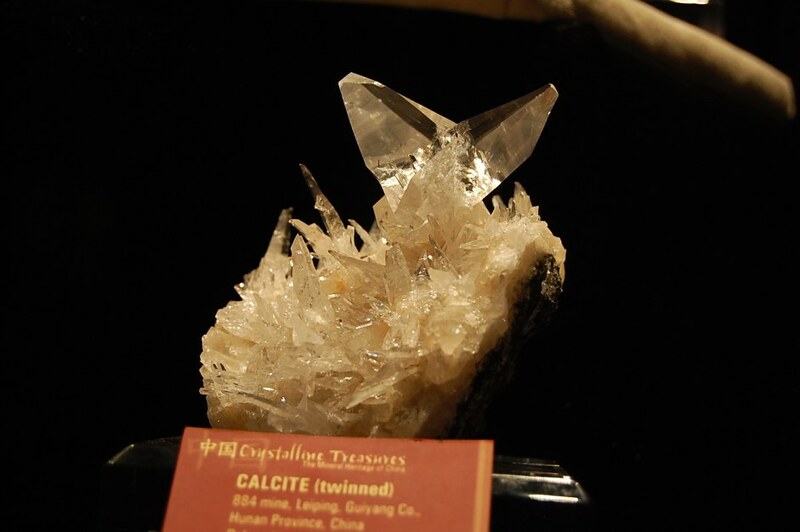 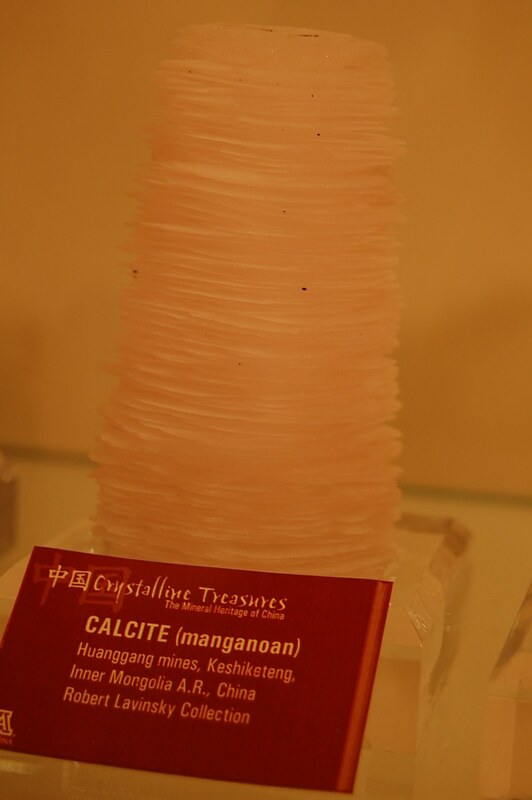 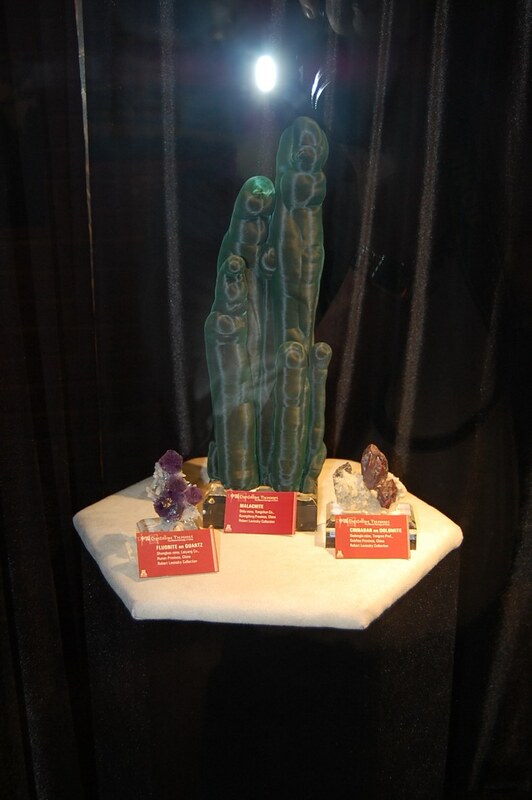 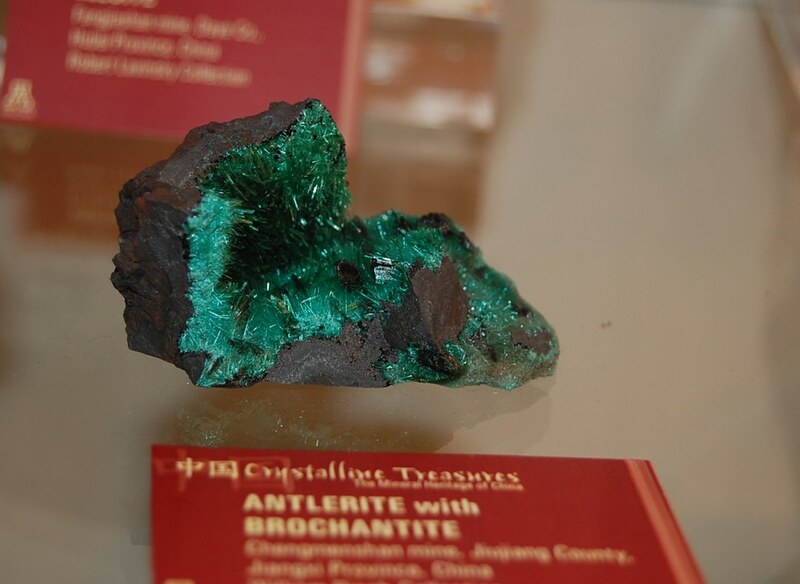 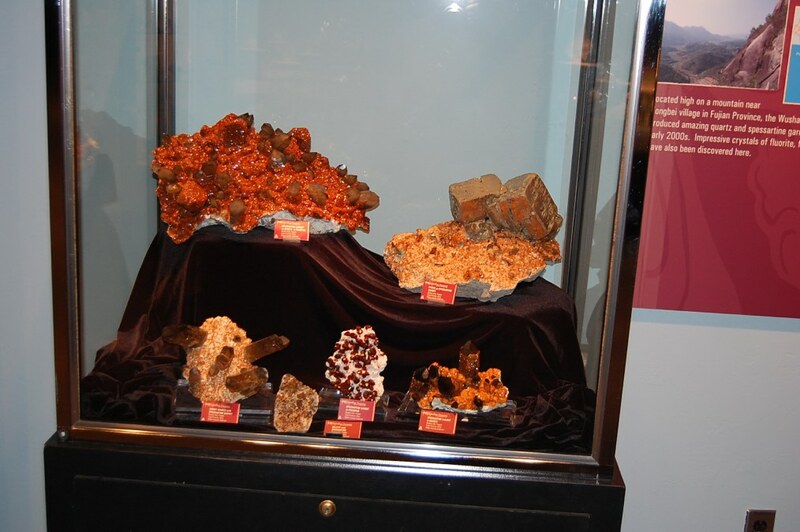 Right now a special exhibit on Chinese minerals is also taking up a large portion of th top floor as well. 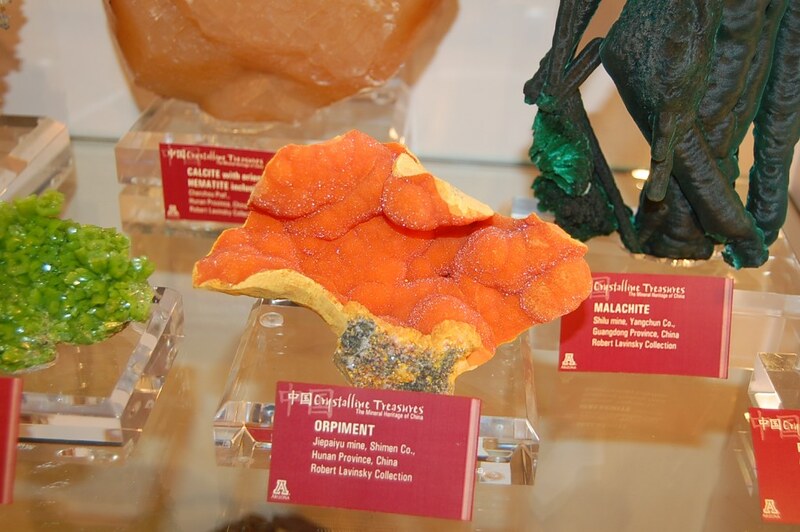 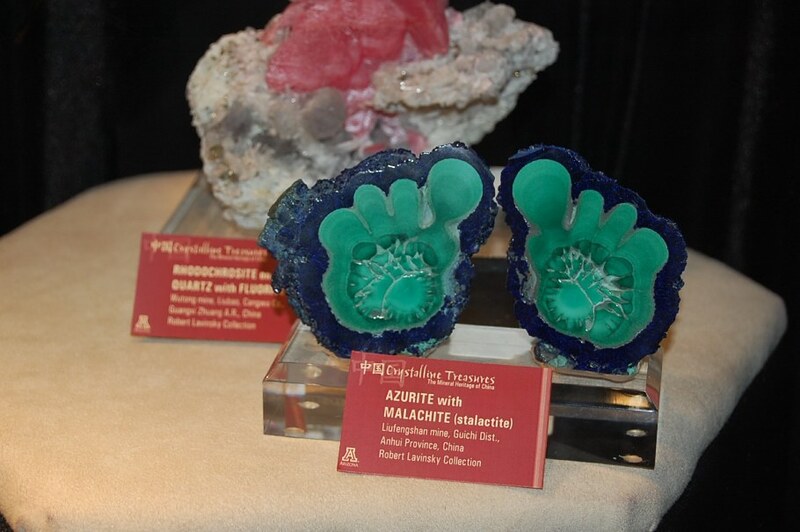 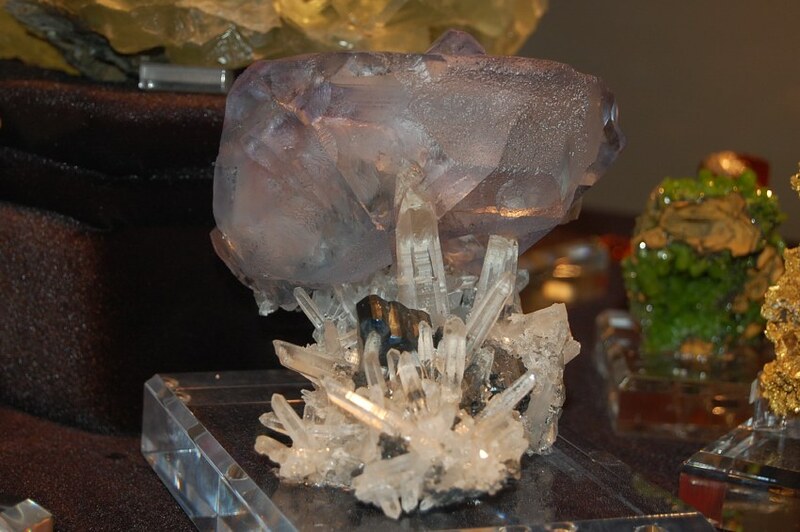 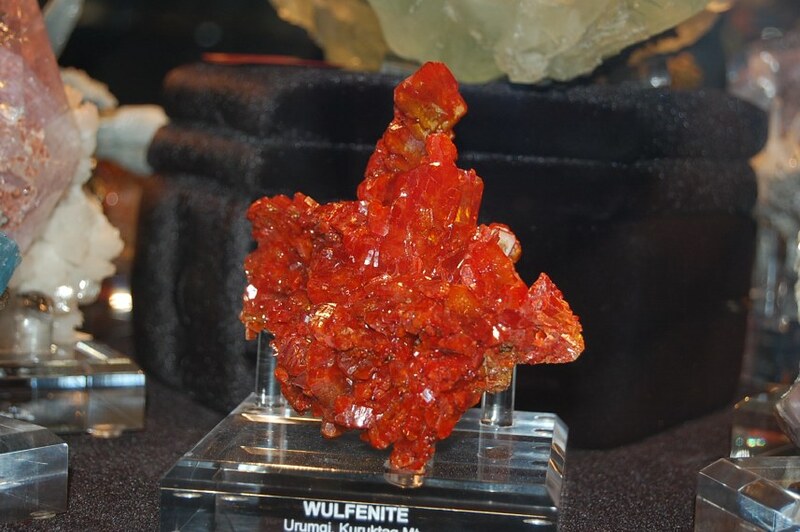 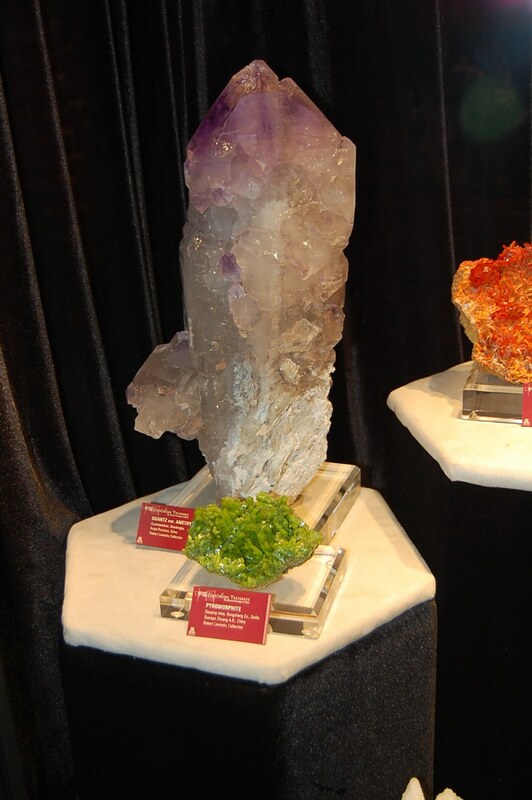 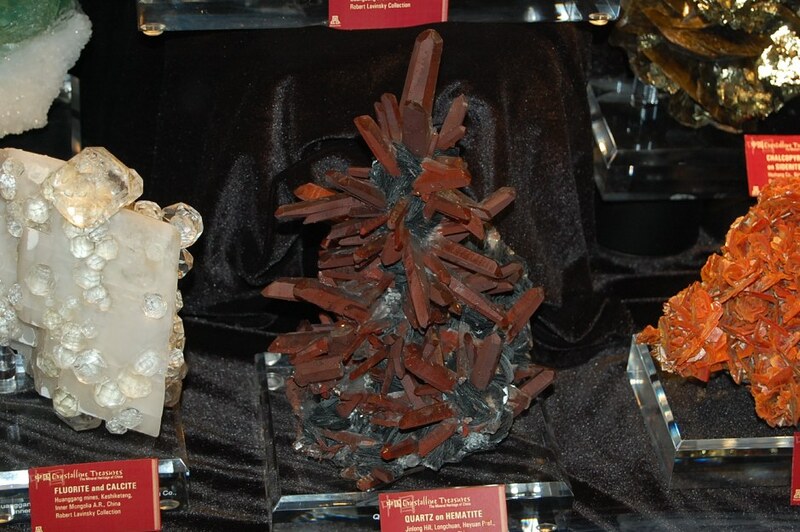 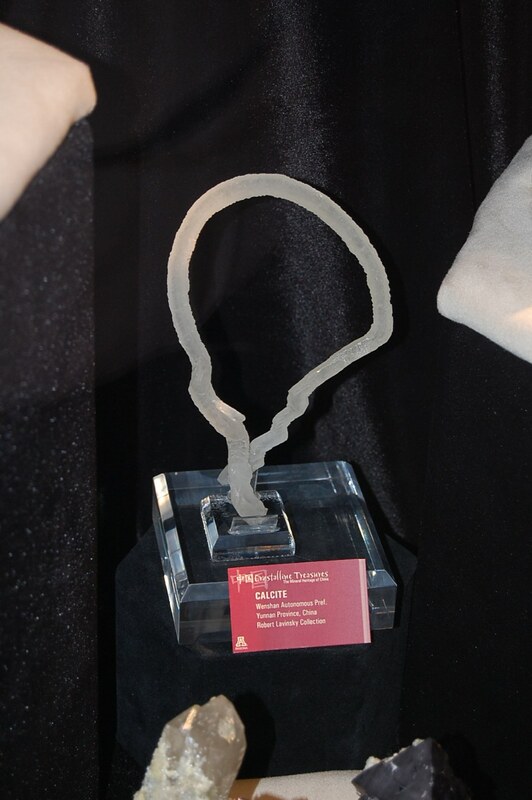 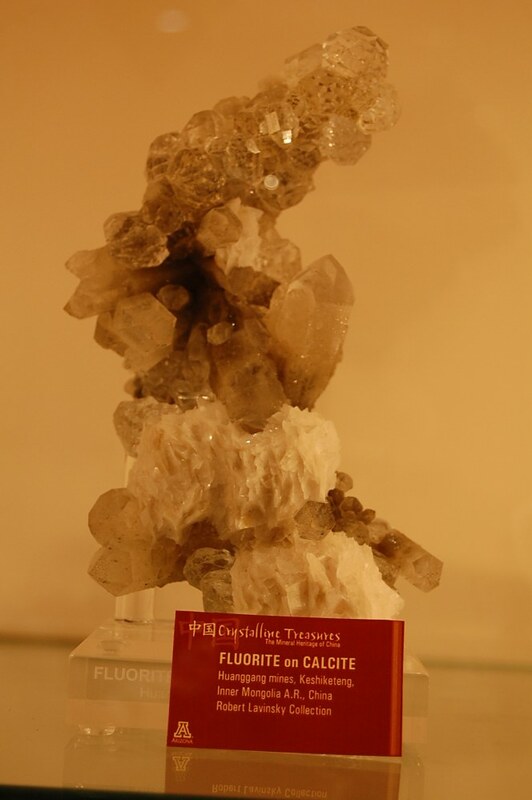 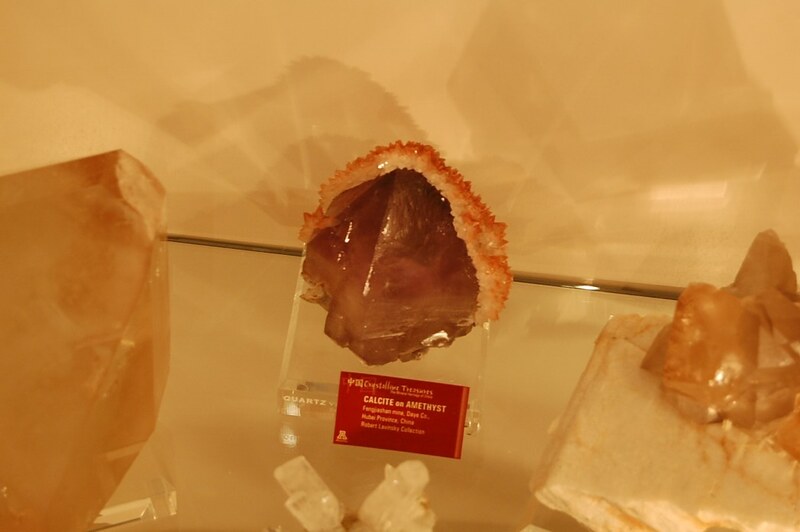 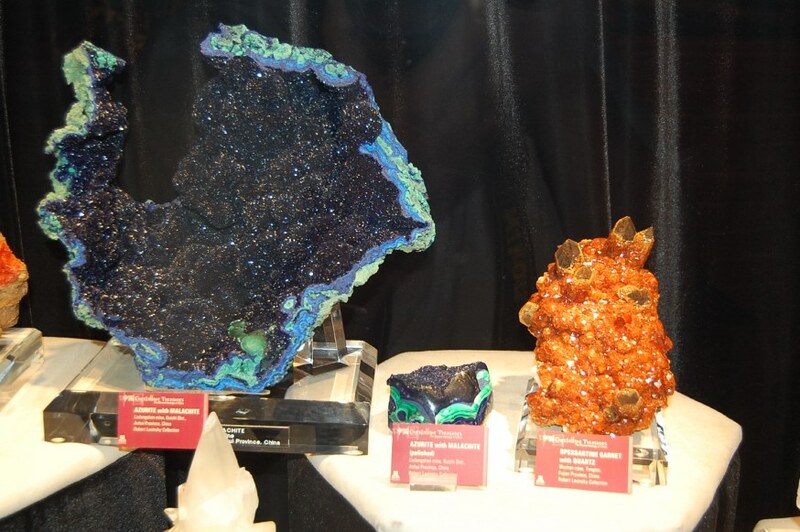 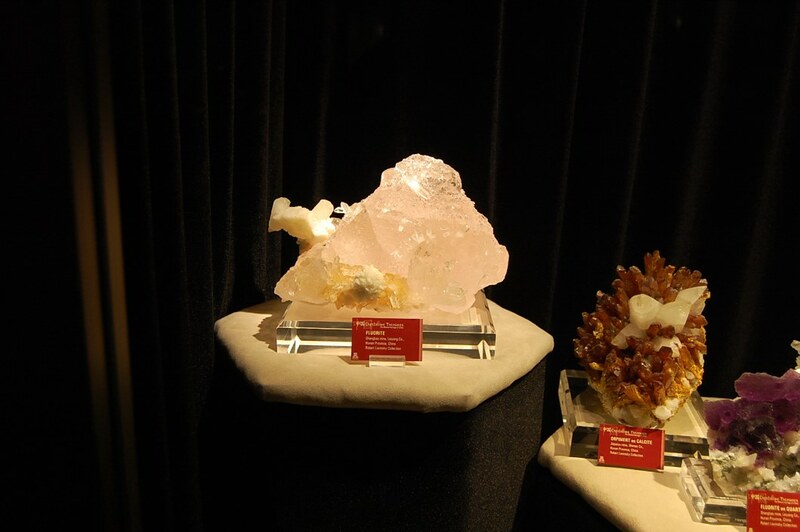 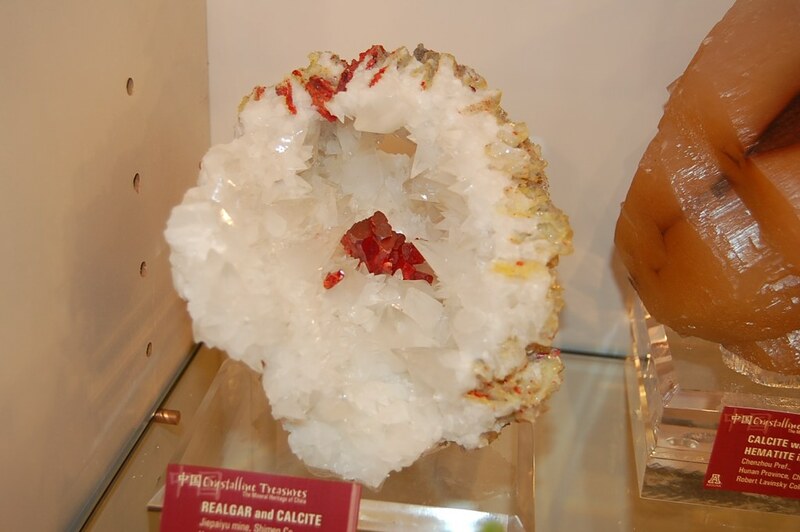 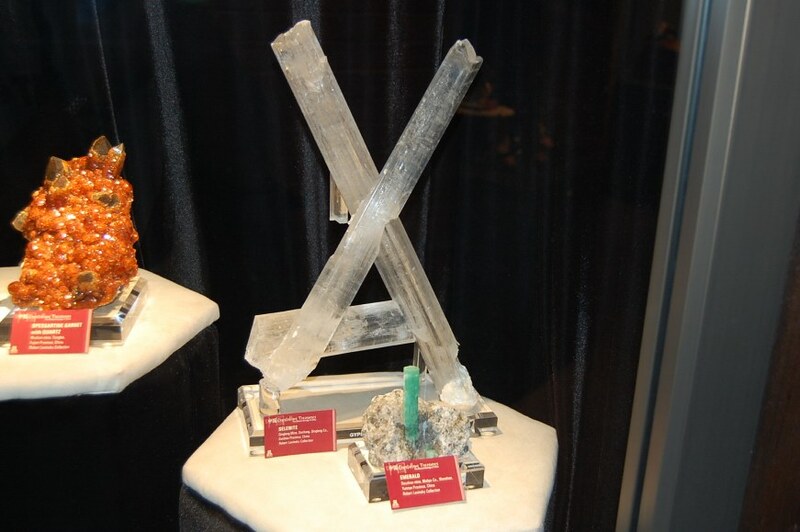 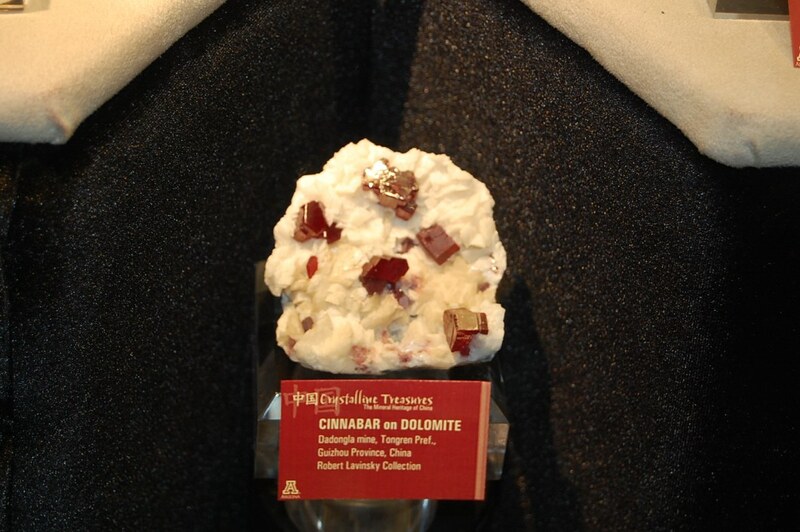 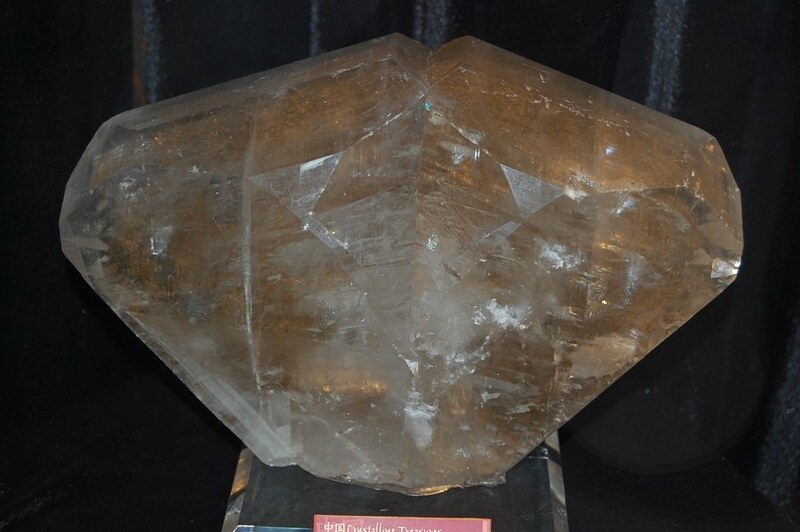 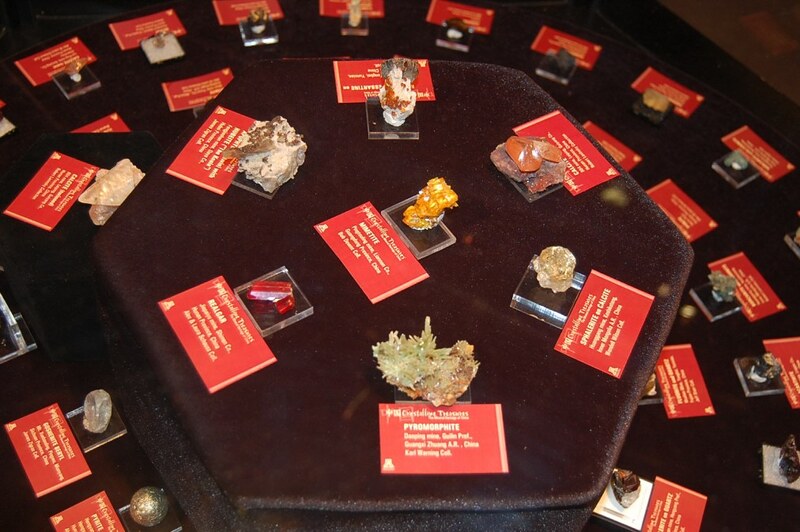 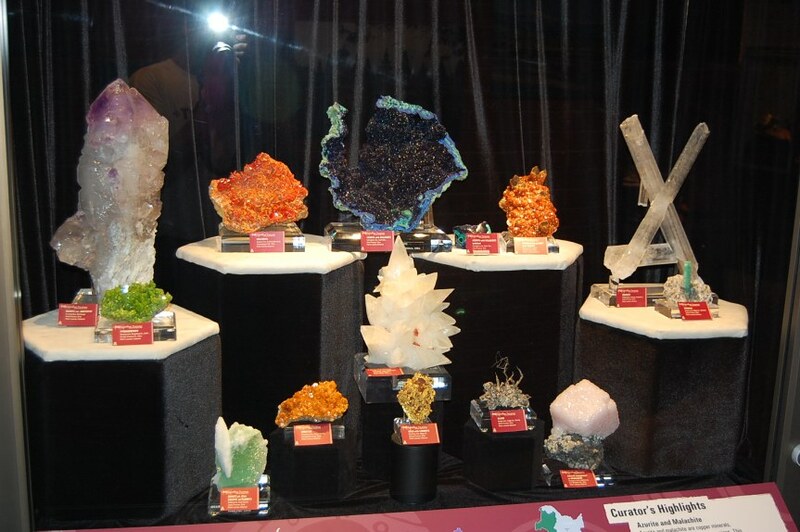 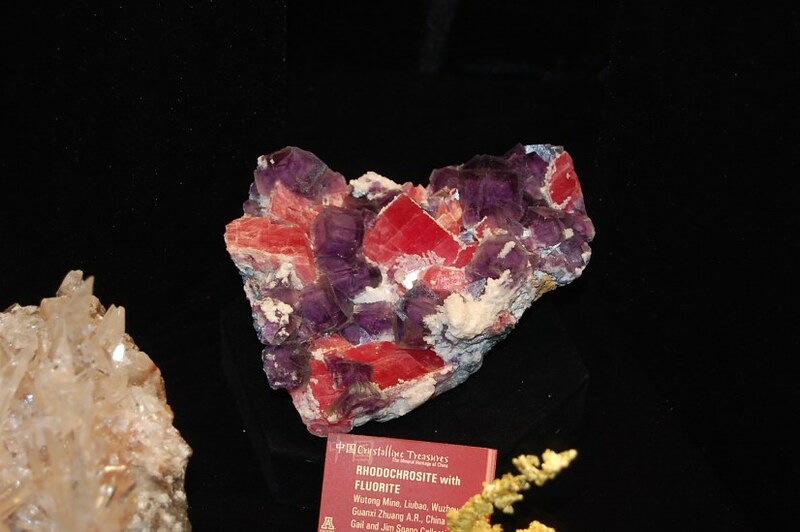 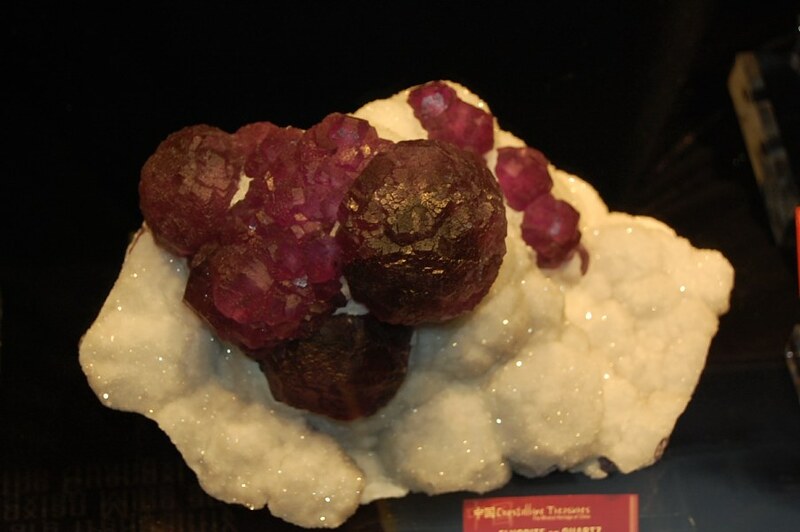 The exhibit is large and fantastic From Aragonite to Wulfenite to every color of the rainbow is on parade . 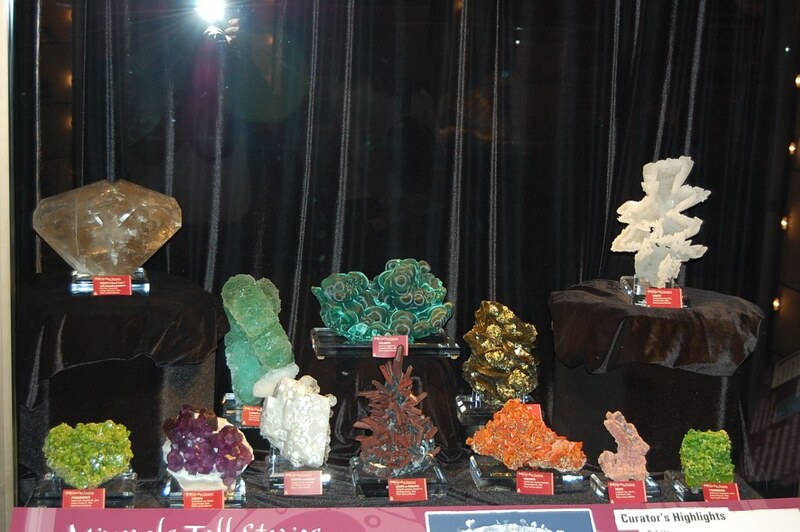 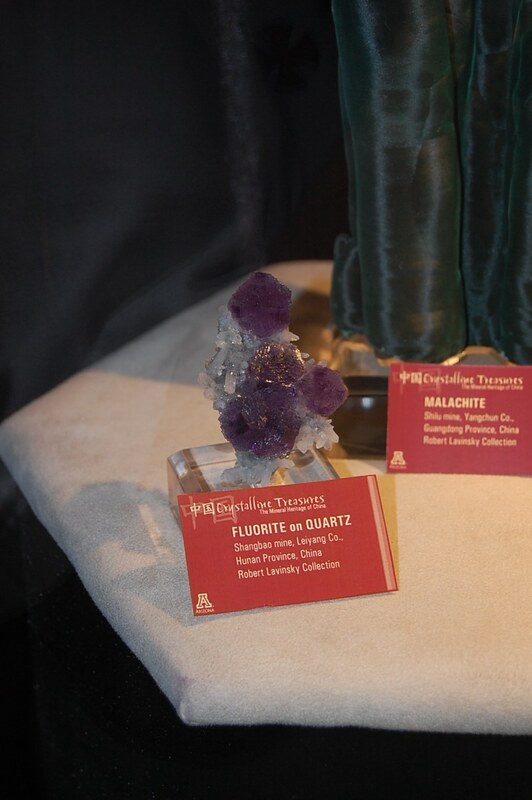 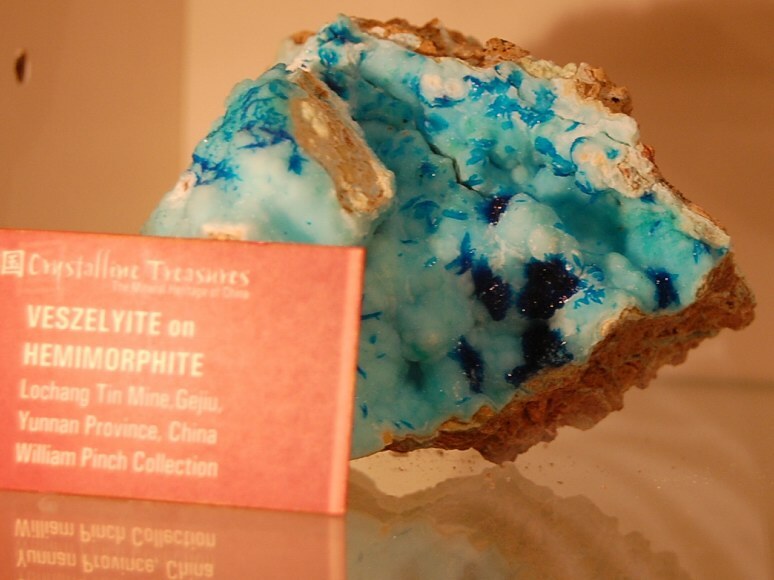 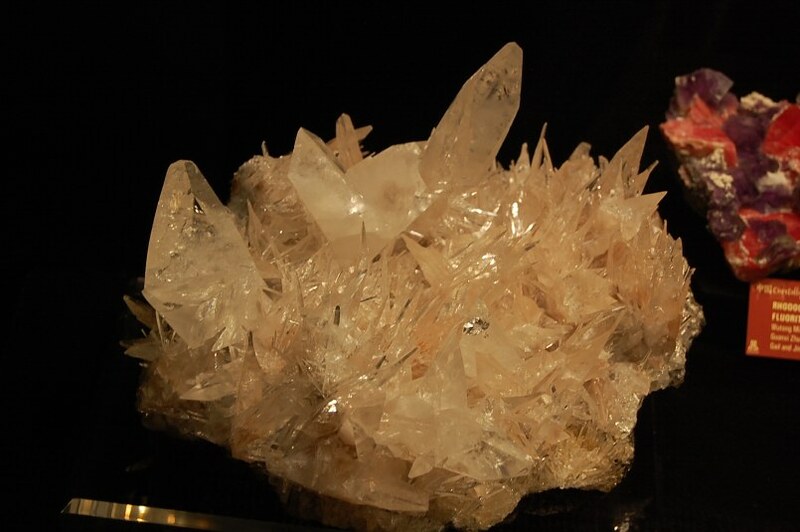 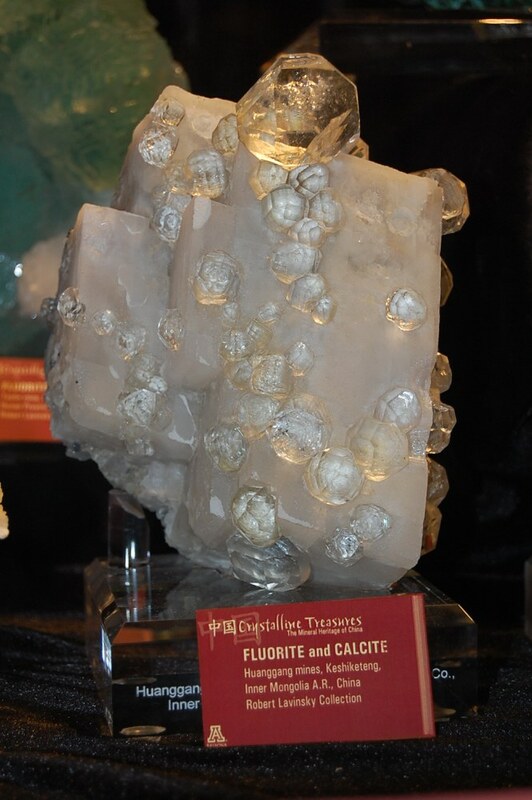 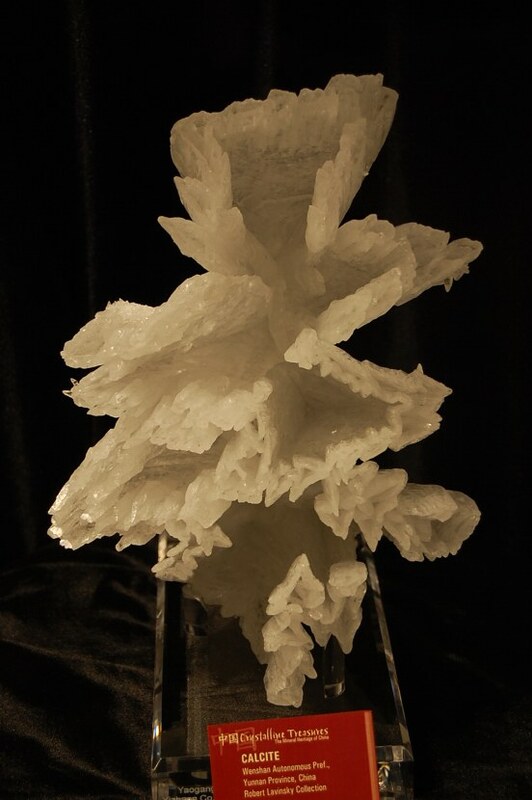 The icing on the cake of an already outstanding collection of minerals in the main hall. 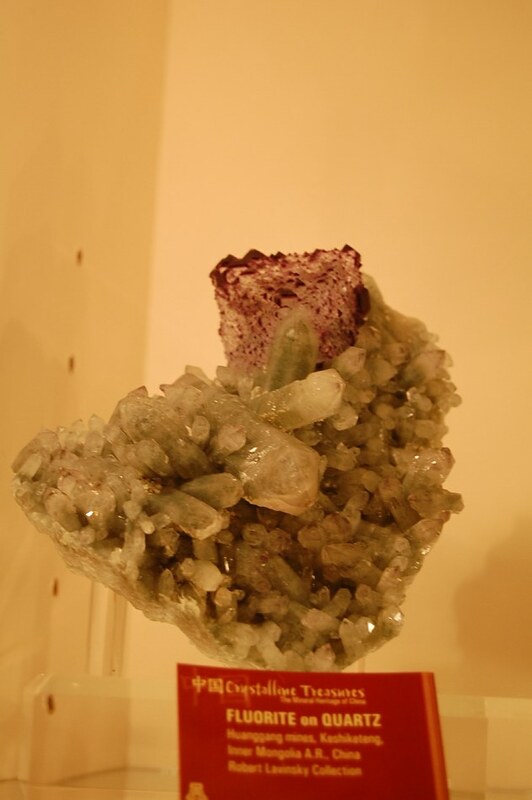 I will try and add comentary here and there but with almost 300 photographs i'm afraid most of the photo's will have to speak for themselves. 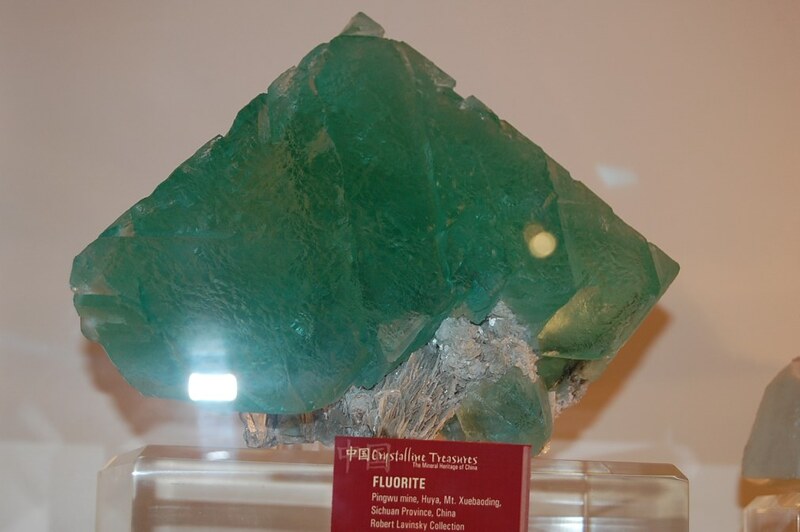 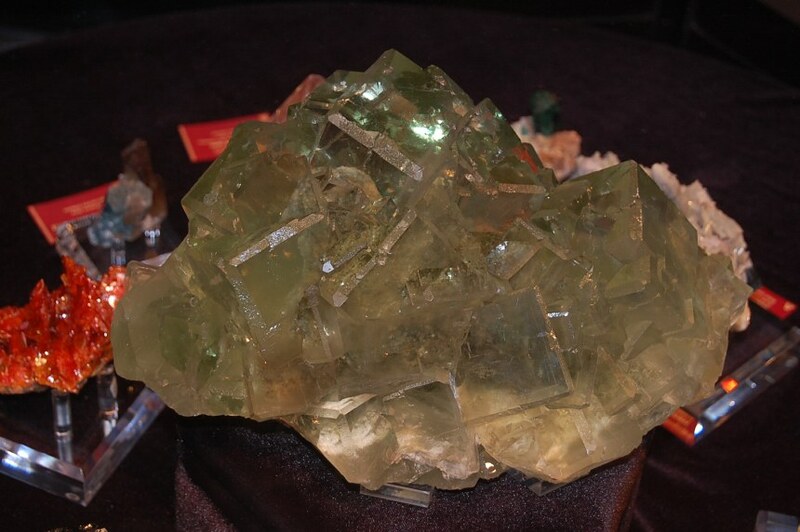 Gigantic light green water clear Fluorite. 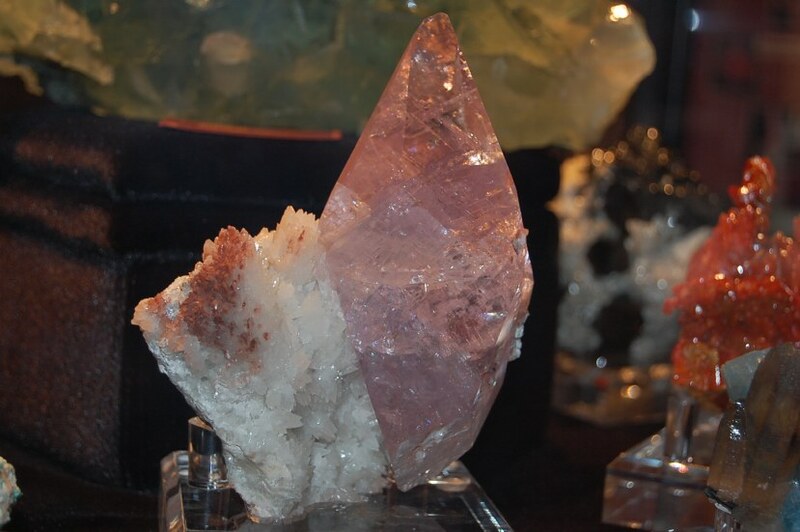 You really can't tell from the picture but this monster is pink! 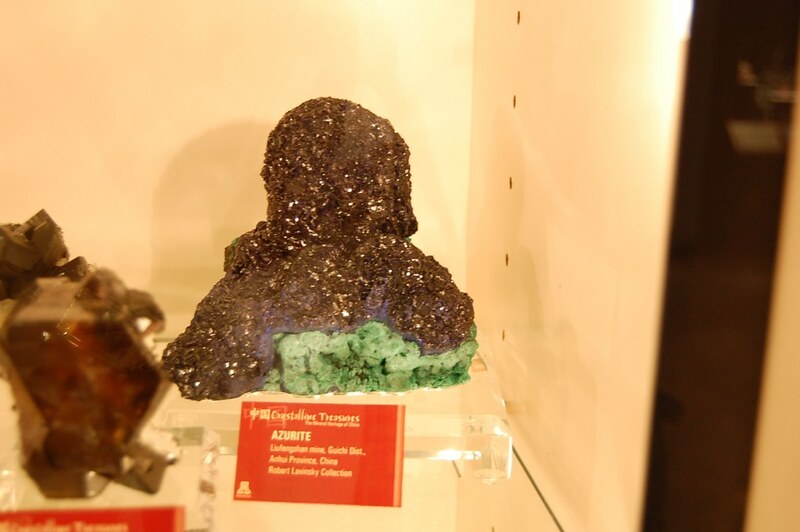 Sorry about the color on some of the images. 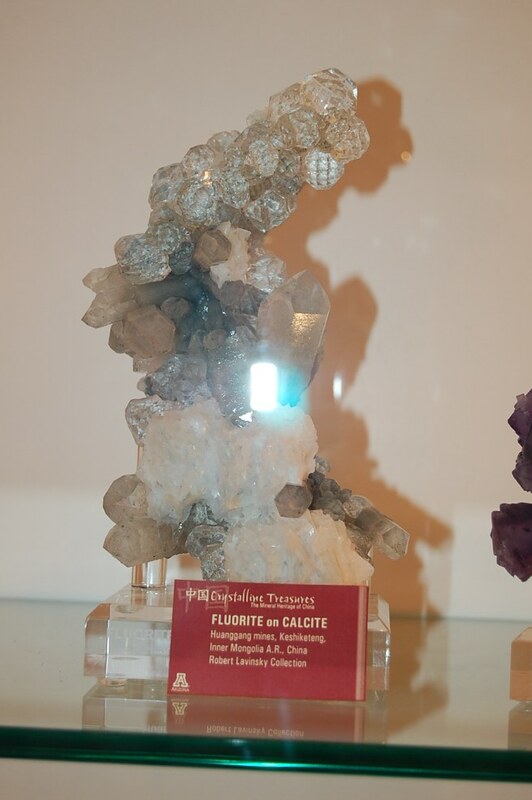 If I used a flash I wou;d get a glare. 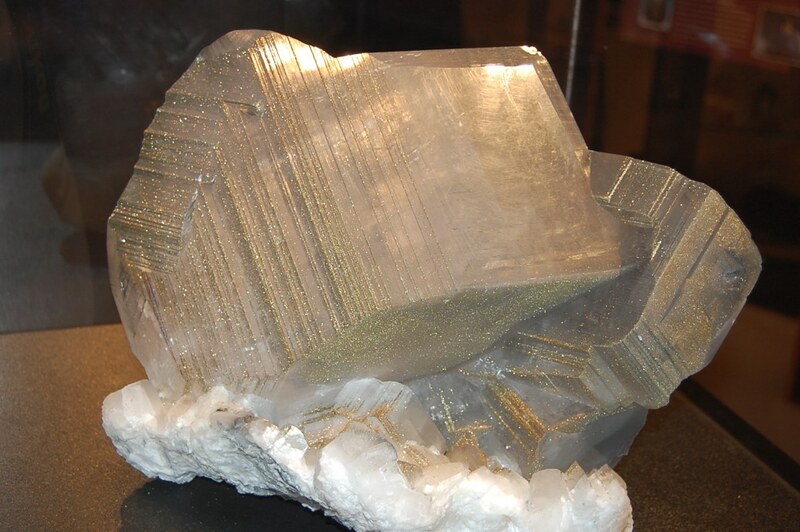 And if I didn't I would lose color. 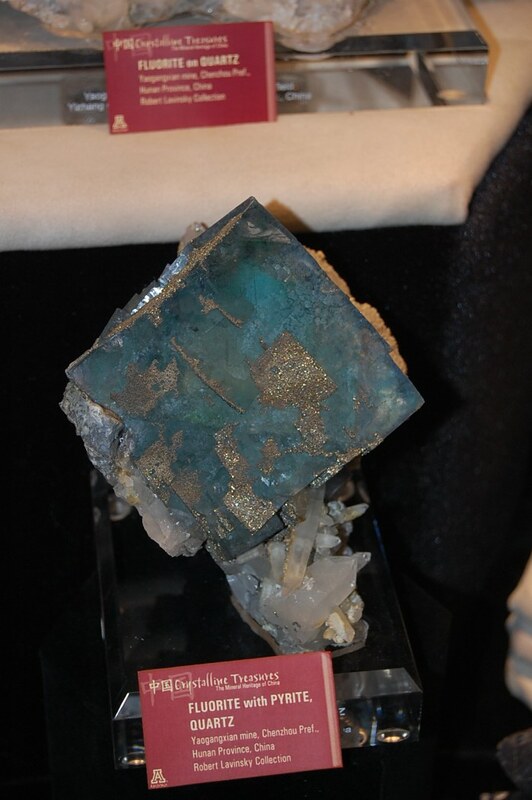 I seemed to have this problem with the side cases. 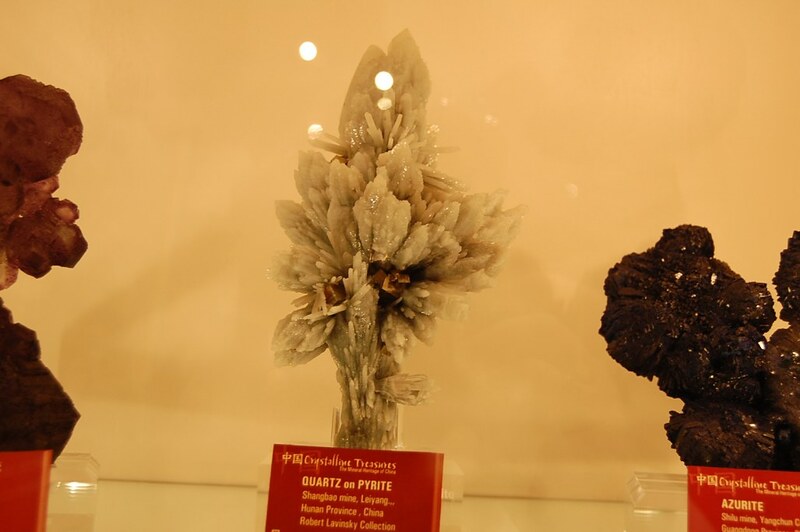 A nice specimen but the black pine specimens are far more impressive.